Beyond the default fields available to store a contact's details, you can create additional Custom Fields to store additional data. Custom fields can be useful when personalizing campaigns. 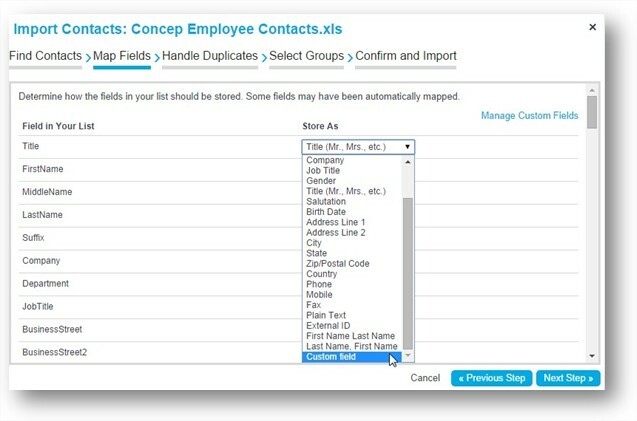 You can locate the Custom Fields in Contacts > Advanced > Manage Custom Fields. Then click 'Add Field' to add a new Custom Field. 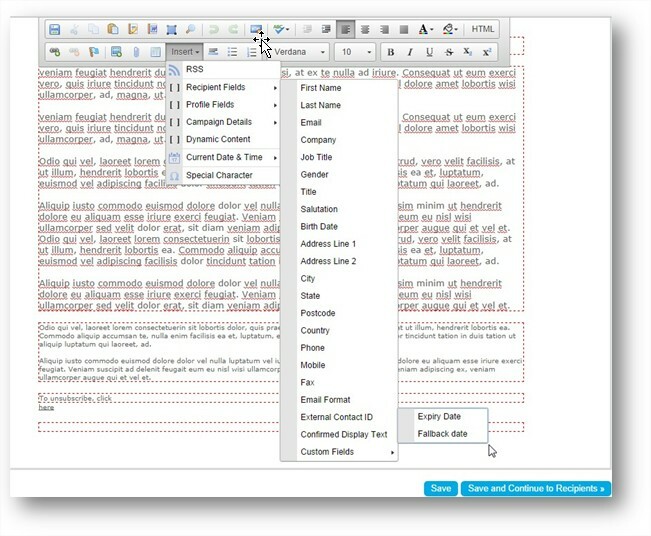 Use the drop-down button on the right of any existing Custom Fields to edit or delete them. 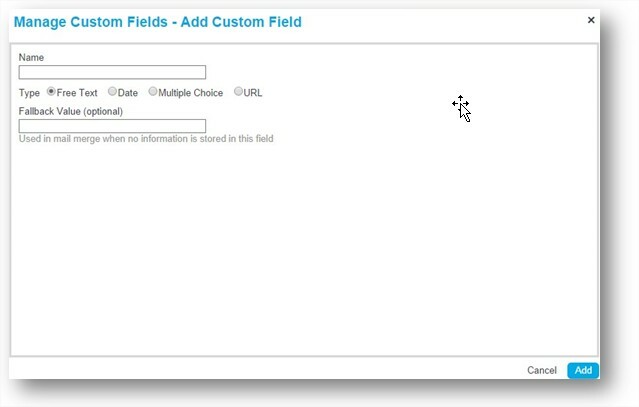 All of these options allow you to name the Custom Field, and provide an optional Fallback Value. The Fallback Value is useful, as this will be used in mail merge when no information is stored in the field. Once you have added your Custom Fields, you can either upload a spreadsheet of contacts and map a column to your Custom Field or edit your contacts and give these fields values. Then, when building your Campaign, you can insert your Custom Fields as a mail merge.